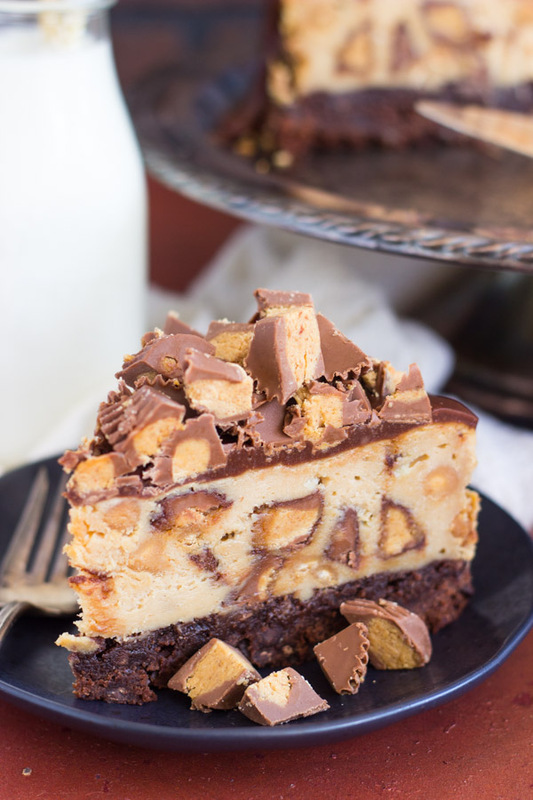 Do you love traditional Chocolate Scotcheroos? 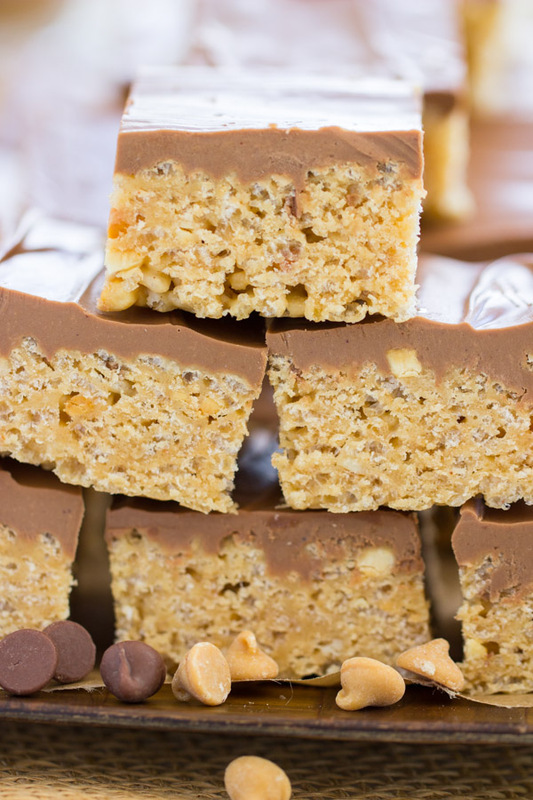 These Peanut Butter Scotcheroos are a fun twist on the original. 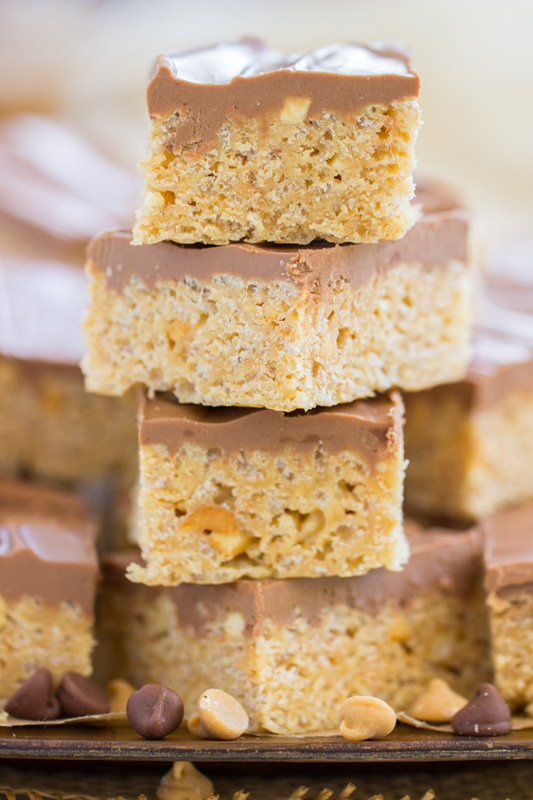 With extra peanut butter flavor in every layer, and extra topping, these Peanut Butter Scotcheroos are the best version for a peanut butter lover! Hi! How’s your Tuesday going? I hope your week is off to a good start. I myself took a digital break. A few days went by where I didn’t get a chance to post here, and then I went on vacation for a few days. I still thought I’d try to post, but when a few more days when by, I decided to just give up and make this a digital detox week. I’ve been completely out of touch. I didn’t even have the tv on for days. Don’t catch me up on news, I’d probably rather not know! I haven’t had the wherewithal to share posts on Facebook, pin stuff on Pinterest, edit pictures, or ANYTHING lately, so I thought maybe I would give myself the break. As I’m traveling back from vacation this morning, I missed my connection, and I’m dying a little inside because I’ve been up early, didn’t sleep well, and have 4.5 hours in front of me at the Philadelphia airport. I’ve parked myself outside Starbucks on a rocking chair, and I’m not going anywhere anytime soon. It gives me a nice block of time to check back in here. So hiiiiiii. I was home in Erie, PA, for a late Easter. My family was all pretty splintered for their Easter plans on the actual day, so I came up the weekend after to celebrate a late Easter. 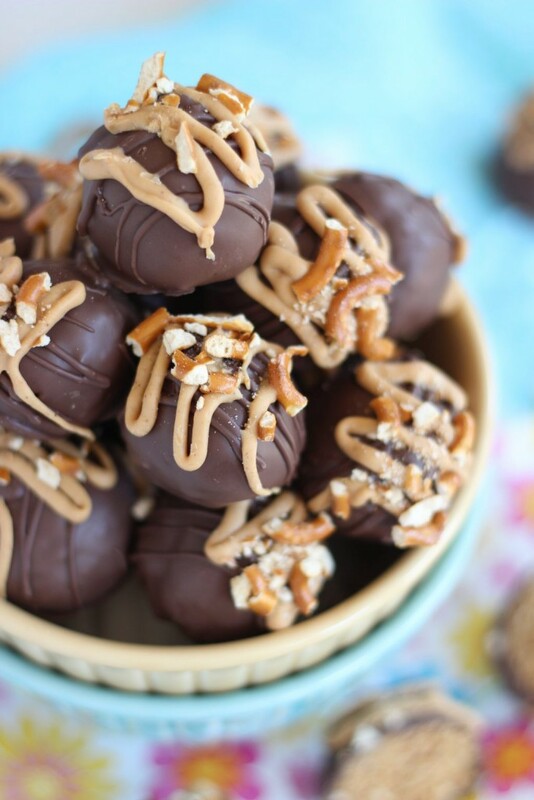 My Mom made her legendary Chocolate Scotcheroos for Easter, but it was funny because she ended up forgetting to pick up butterscotch chips, so they were made with only chocolate and peanut butter. 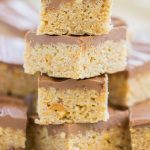 By total coincidence, I had made her Chocolate Scotcheroos recipe a few weeks ago, but I’d purposefully excluded the butterscotch chips because I just don’t like it in these bars. Instead, I added more peanut butter. 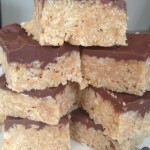 Really, this new version is just chocolate peanut butter Rice Krispie Treats… there’s no ‘scotch’ component anymore, but to me, they are Peanut Butter Scotcheroos because they are based from my mother’s Scotcheroos recipe. 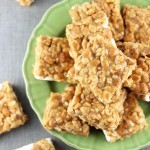 I absolutely love these Peanut Butter Scotcheroos that have extra peanut butter added in, and both my S.O. and I found them completely addictive. We couldn’t keep away. 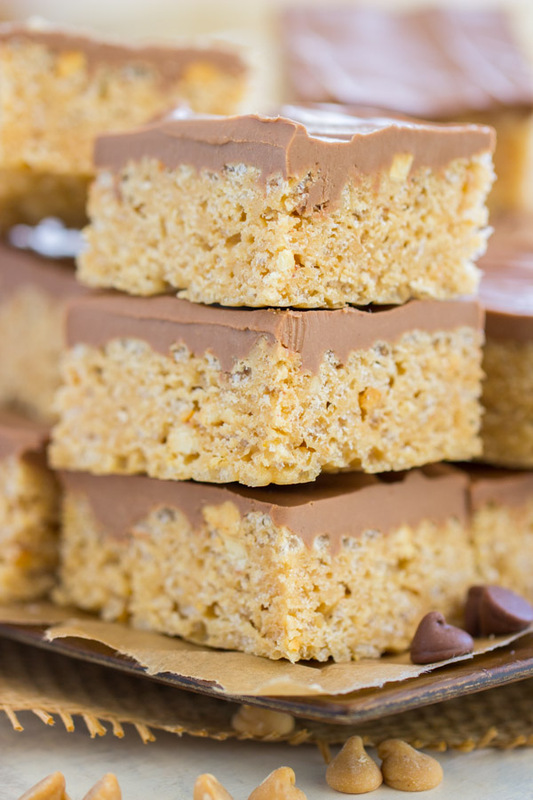 There’s lots of peanut butter in the Rice Krispie Treats (more than my Mom’s recipe), and then instead of a ‘frosting’ of melted chocolate chips and butterscotch chips, it’s chocolate chips with peanut butter chips. I think milk chocolate is a little softer and it doesn’t tend to overpower the peanut butter, so that’s my preference, but semi-sweet chocolate also works. 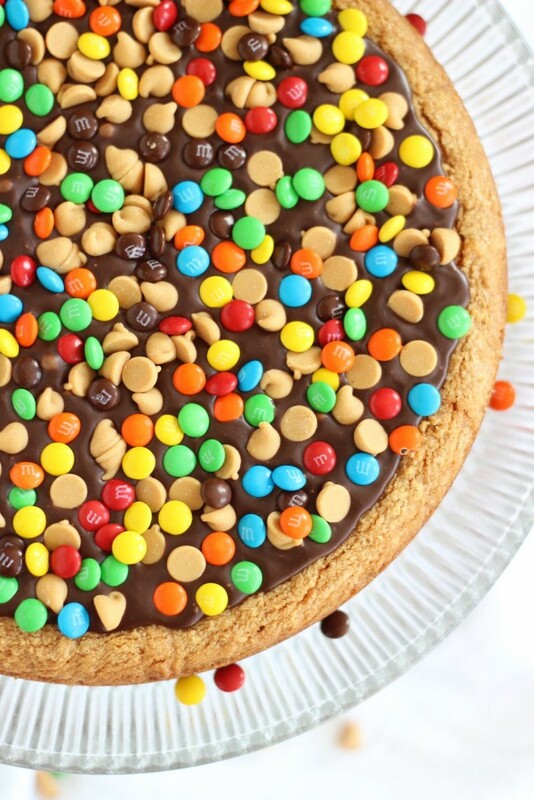 Also, I made 1.5x the topping – that’s key. 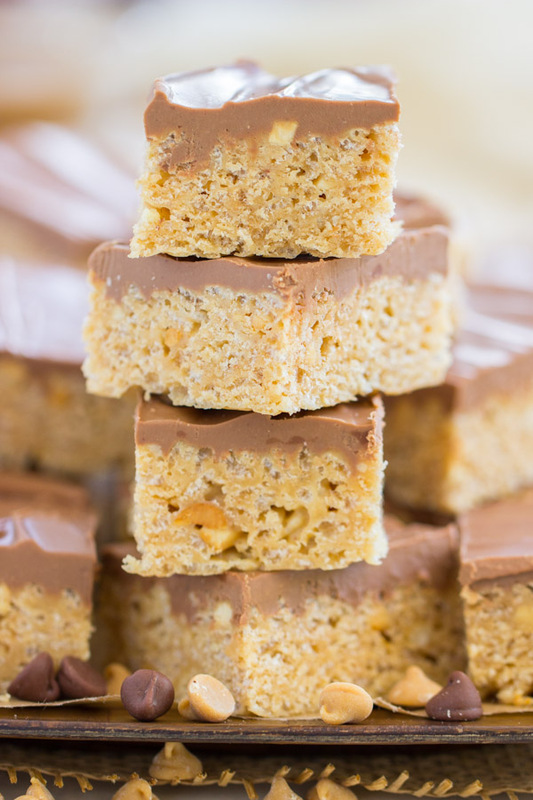 Extra topping makes these Peanut Butter Scotcheroos extra indulgent. It was hard to stop myself from throwing in Reese’s cups too, but I’ll save that over-the-top version for another day. If you’ve got comments or feedback, now would be a great time to leave it below because I still have 4 hours in an airport ahead of me. Have a good Tuesday! 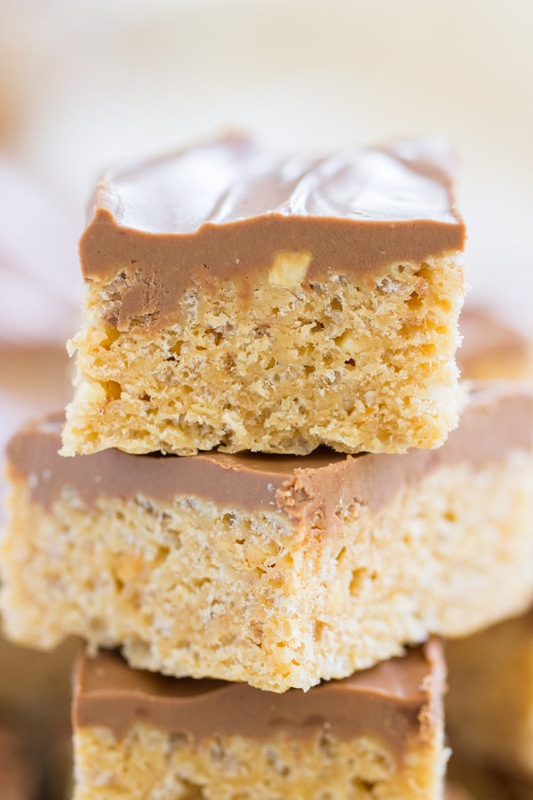 Do you love traditional Chocolate Scotcheroos? 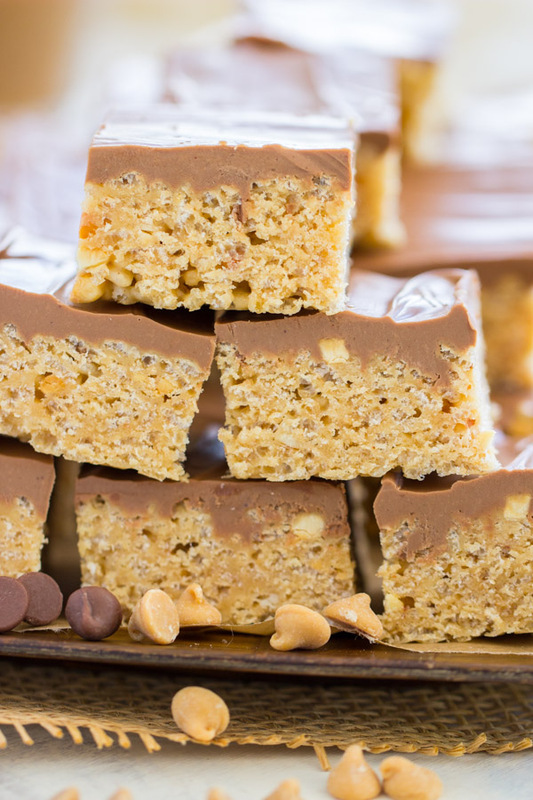 These Peanut Butter Scotcheroos are a fun twist on the original. 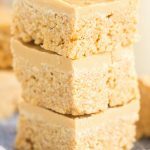 With extra peanut butter flavor in every layer, and extra topping, these are the best version for a peanut butter lover! Combine sugar and light corn syrup in a stock pot. Cook over medium heat, stirring frequently, until sugar is dissolved, and mixture just bubbles. Add peanut butter, and stir until melted and smooth. Add Rice Krispies and stir until well-combined. Mixture will set fast, so stir quickly. Press mixture evenly into a lightly greased 9×13-inch pan. 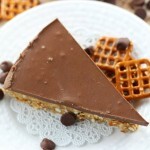 In a medium saucepan over low heat, combine chocolate chips and peanut butter chips, stirring until melted and smooth. Remove from heat and spread over Rice Krispies mixture. 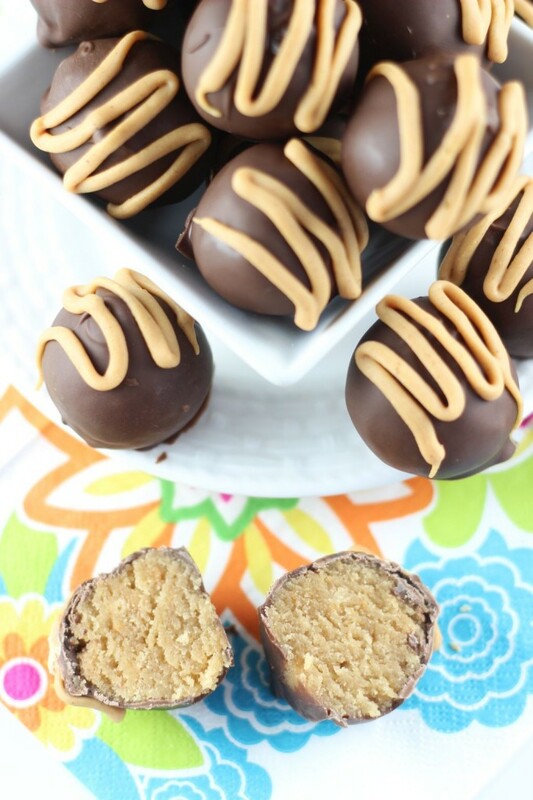 You may also like these chocolate & peanut butter treats! Booo. 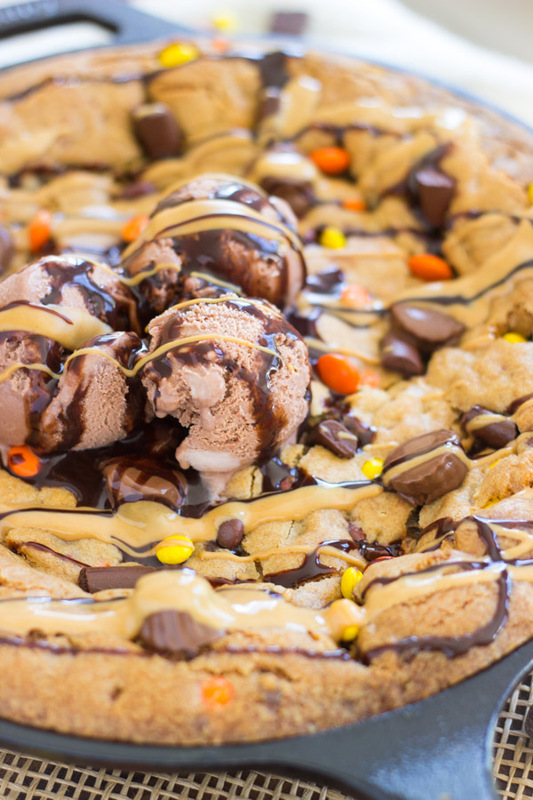 The butterscotch is the best part. They’re not scotcheroos without it! Booooooo. 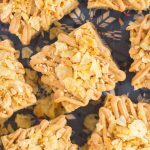 But these had extra PB and extra topping, so you MIGHT like them!!! Butterscotch is the best, but I don’t like it in these! Blech. Haha.